Carr and Company was founded in 2001 by James and Martha Carr in Madison, MS one of the top 10 cities in the United States to raise a family. Not only is it a good place to raise a family, but it has been a great place to start a business. James is a Certified Public Accountant and had been in the school supply business for over 35 years. Martha, having always been a homemaker and mother of their four children, was ready to join James as an active business partner. 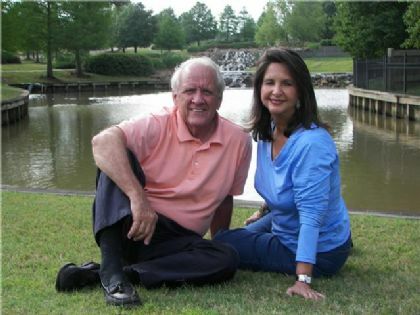 For James and Martha, having always been active in their local church and James having served as the state chairman of the 1976 Billy Graham Crusade, the church and educational furnishing business was a perfect fit. In the beginning Carr and Company focused mainly on pews and stack chairs. It didn't take long to realize churches needs expanded beyond sanctuary seating. After meeting with pastors, administrators and committees we were frequently asked what other areas we could assist, the decision was made to expand the product lines. Carr and Company now represents over 75 different manufacturing companies and is able to furnish an entire church or school facility Carr and Company has a strong working relationship with many vendors and works hard to accommodate the needs of each church in the most affordable way. Carr and Company is a company that truly enjoys doing what we do. Our business is a relationship business. Speaking with and meeting so many great people is a fantastic opportunity for each of us. Exceeding customers expectations is our goal. No church or school job is too large or too small. You are important to us and our company strives hard to live by its motto, "The high road to service is traveled with integrity, compassion and understanding. People don't care how much we know until they know how much we care." Carr and Company is now owned and operated by Michael and David Carr, the twin son's of James and Martha.